While 2010 saw businesses dip their toes in the social media pond, 2011 confirmed that social media is here to stay. Facebook reached the status of the third largest country in the world surpassing 600 million members. 2011 has seen some pretty significant technological innovations, which in turn has enabled consumer creation and curation abilities. This has further proliferated content creation en masse. While 2010 saw businesses dip their toes in the social media pond, 2011 confirmed that social media is here to stay. 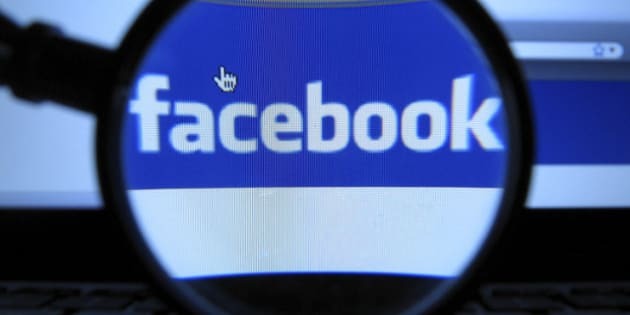 Facebook reached the status of the third largest country in the world surpassing 600 million members and suddenly the world's attention to privacy brought to light the implications of sharing personal information. Information is so readily available and people do not shy away from sharing their viewpoints. 2012 will see Chief Marketing Officers (CMOs) pay more attention to retention vehicles like social media as they begin to realize the efficiency, measurability, and inevitable sustainability that it delivers. I decided to ask some of my colleagues -- strong marketers and esteemed social media practitioners in Canada -- their viewpoint on this subject. I asked: What was your highlight in 2011 or where do you think we're headed in 2012? Their responses were smart, interesting and diverse. 2011 was about discoverability driven through more visual social networks like Instagram (it's not all about the photos, there is a vibrant social network there to be enjoyed), Pinterest, Tumblr (I sense a revival of interest there) and apps like Flipboard (both from the iPad and iPhone). When will see Android versions of Instagram & Flipboard? For me, 2012 is going to be all about online identity, re-aggregation, and management across multiple social networks. Right now many of us have multiple social identities depending on how many networks we're part of. We're going to get better tools to manage our total social presence, preferences and permissions across the entire web. In other words, reclaim our online identities. 2012 is the year that video becomes social as well, with YouTube just launching it's open graph integration and redesigning the entire site around the social experience. Moreso, Facebook is placing more emphasis on video as a medium of communication on their platform, this comes on the heels of their partnership with Skype. Video chatting on Facebook is proliferating and will continue an upwards trend. There's a trend toward a muddling of real business terminology with the term 'social' that isn't particularly well considered. 'Social CRM' & 'ROI' are terms thrown around by people who've never been responsible for either. That's dangerous. Major brands will be looking beyond the soft social measures attributed to their activity and will be looking to their agency partners to demonstrate how what they are spending money on actually helps the brand and its business. 2012 is often being quoted as the year of 'Social Business.' For me it is simple: Let's get back to basics and sell product for our clients... using whatever tools, platforms or screens needed for the task. I am most interested in three principals: Marketing with the social graph, engaging across all screens, and building products with purpose. I am tired of 'likes' as a measurement and contests masquerading as a Facebook strategy. Some of my favorite programs this year include Amex's Link, Like, Love program and the Starbucks Loyalty Card platform. Social Listening products -- for example Sysomos, and radian 6 --have had their 15 minutes of fame. And while people using them will increase, I do find the product woefully inadequate (at least Sysomos) -- not keeping up with the analytic needs. Queries take too long. Really, these tools are now the source of misleading information about brands as people don't put the time required to analyze what is presented. I've seen some interesting trials of Cognos' consumer insights. I'm still trying to get my hand on cloud-based access to this but it isn't developed yet. In 2012 technology will continue to thrive and we who work in social media will begin to see the fruits of our labour. Businesses will see the value going beyond Twitter and Facebook and realize that rebuilding brand identity in social media can yield sustainable results for their business.